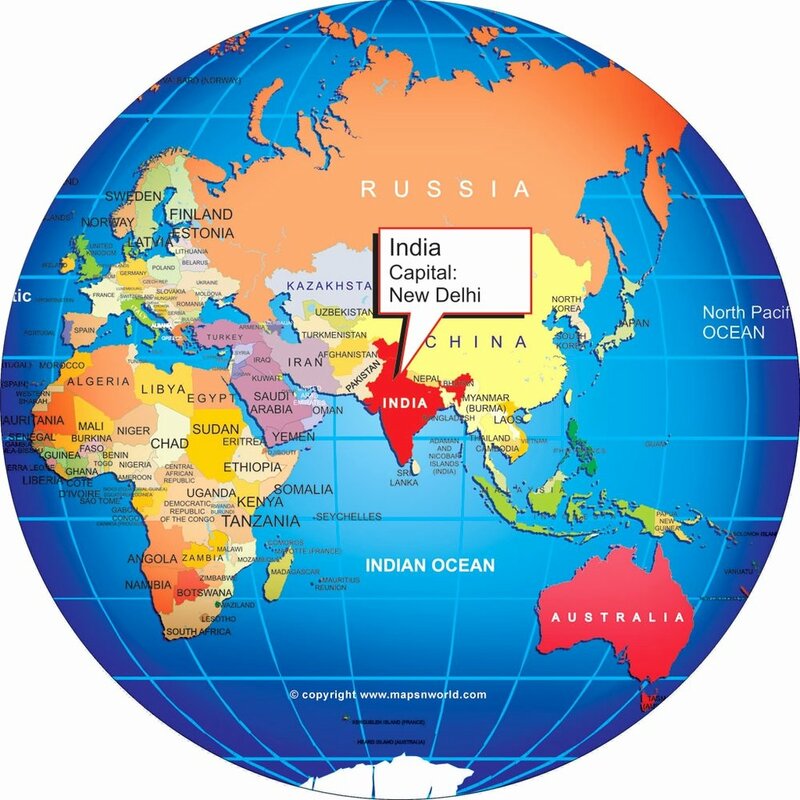 India is the world's second-largest English speaking country with 125M speakers. The USA is first with 268M speakers which makes sense, but I was surprised to find out Nigeria is the fifth largest with 79M speakers, ahead of the UK with 60M speakers. Dr Rajenda Prasad was appointed India's first President in 1950, and took only took 50% of his salary (the equivalent of about $75) as he claimed he didn't need any more than that. Towards the end of his 12-year tenure he only took 25% of his salary. Hinduism is one of India's major religions, and millions of Hindus revere and worship cows. As a result, cow slaughter is illegal in many Indian states, making it difficult to buy, sell, and well, eat beef. Snakes and Ladders originated in India. It was first known as Moksha Patamu, a game invented to teach the moral lesson of karma to children. Day 1: Arrive in Delhi. Drive up to Agra to see the Taj Mahal. Return to Delhi, and visit the Lodhi Gardens if there's time. Day 2: Depart for Colombo, Sri Lanka. Okay. On the real, if someone invites you to a wedding in India, say YES! And if no one does, go there and crash a wedding. It's a great opportunity to celebrate friends, and the chance to get familiar with the culture in this way was a bonus. Indian weddings (especially the North Indian ones) are typically huge, full of pomp, flair and colour - just like Nigerian ones. The wedding I attended was a South Indian one, and much more intimate than the typical Indian wedding, but I liked that as it allowed me to take a closer look at some of the associated customs and traditions. It was quite enjoyable, to say the least. Please ignore the dude in the back! Got some henna done at the Mendhi ceremony. Henna starts out kind of poop looking but is very pretty once its dried off properly. Then it was time to get down in a sari! Let me tell you, these things are not easy to tie. I had to get mine made into a skirt before I got to India. The exclamation mark isn’t a mistake, food gets me really hype. Where do I even begin? Authenticity. Freshest of ingredients. Endless curry supply. Not having to repeat “extra spicy” to my server taking my order so the chef knows not to hold back on pepper when he’s getting my food ready. From sumptuous boiled corn topped with masala pepper in a random market corner to seafood cooked on demand while exploring the Kerala Backwaters, everything was a hit. For some reason though, I couldn't find the peshwari naan anywhere, you know the sweet naan bread with coconut in it? That was unfortunate. We got a houseboat to explore the Kerala Backwaters, a picturesque network of lakes, inlets, canals, and rivers that run from Kochi to Kollam. In this photo we stopped to pick out our seafood for lunch. It was like fishing but without all the work. End result of our "fishing" expedition. Fruit of our labour, if you may. I have no words to do this justice, and quite honestly feel a little silly listing it as a bullet point - it definitely deserves its own post. I’m not the world’s biggest romantic, but the love story behind this definitely made me go awww (with a lot more w’s!). Plus, I got this dope shot of it that made me feel like a legit travel blogger *pats self on back*. The Taj Mahal, the first World Wonder I ever saw. We actually got a photographer to take photos while we toured the Taj Mahal (you can just hire one at the entrance). It might explain why a lot of people thought we were famous and kept asking to take photos with us. He gave me all my photos on a CD (who still uses those nowadays?!) and I don't know where the CD is. So here is a wack phone photo for you. I'd like to go back to explore Delhi properly since I only got to spend one night there on this trip. In an ideal world I'd also be able to attend a huge, over the top North Indian wedding. I'd like to visit Goa, and possibly Chennai. So yeah, I'd like to go back. Have you been to India? What did you like? What were you not so crazy about?